As you may recall, a couple weeks ago I participated in a Christmas decorating project blog hop where I shared my jingle bell ornaments. I had so much fun getting to know the other fantastic bloggers partaking in this series, and was inspired by all the amazing creativity. Projects like fun faux taxidermy ornaments, pretty spring snowflake ornaments, and a unique garland made from office supply materials are only a few. As promised, Shannon from AKA Design compiled our holiday ornament and decor tutorials into one book, and I’m so happy to be able to share it with you! To download your free digital copy, simply click on the image above to get to the PDF and save (or right click the image and save). *Please only use the e-book for yourself or to print out to give as gifts. Using this digital download for commercial purposes or to make any profit is not allowed. Hey Shauna! Thanks for stopping by my blog and leaving a comment so I could find your website, I love it! 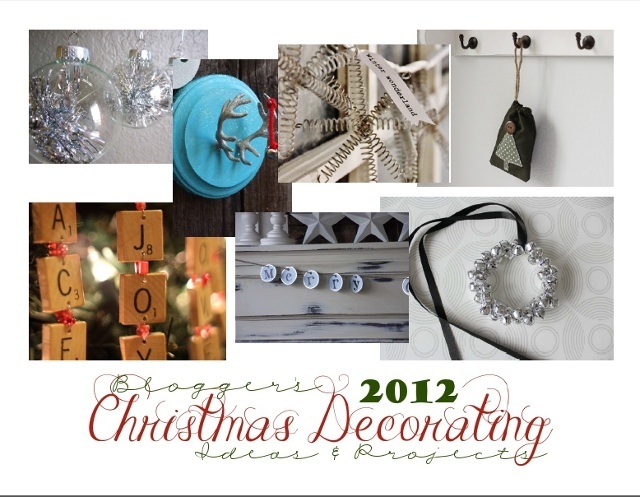 I’m totally going to whip up some jingle bell ornaments this week! Thanks Jessica. Love your blog too! Thank you very much Shauna, will have a look at your link for sure!